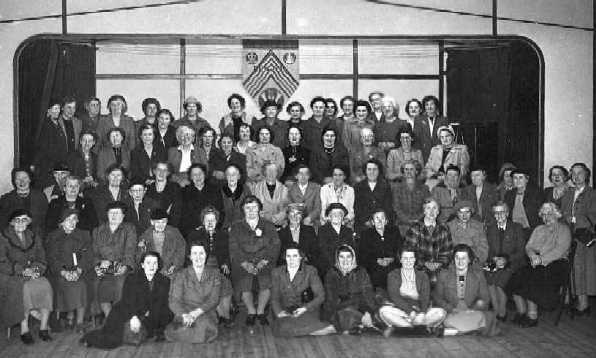 - Women's Institute - 1940/50s (BS0006) Photo taken in the old village hall - see Page 104 of "Benson - A Century of Change". 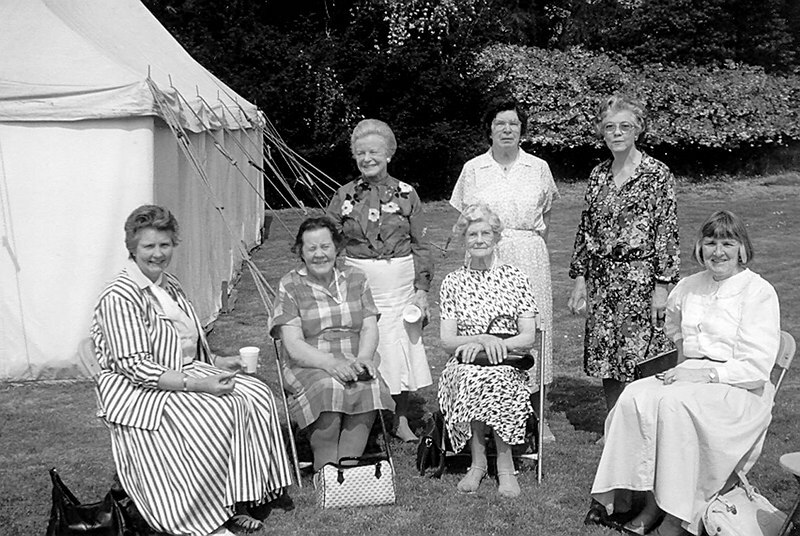 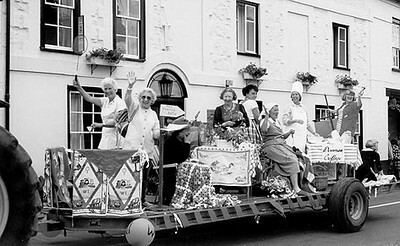 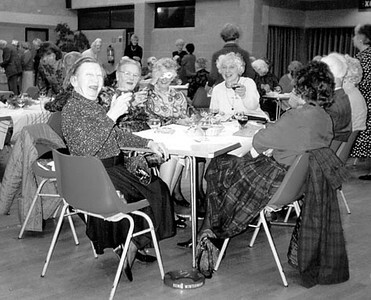 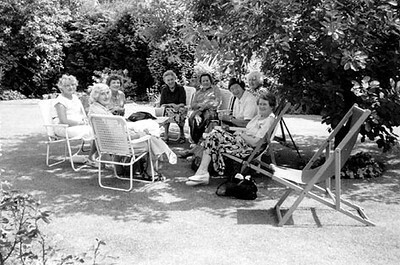 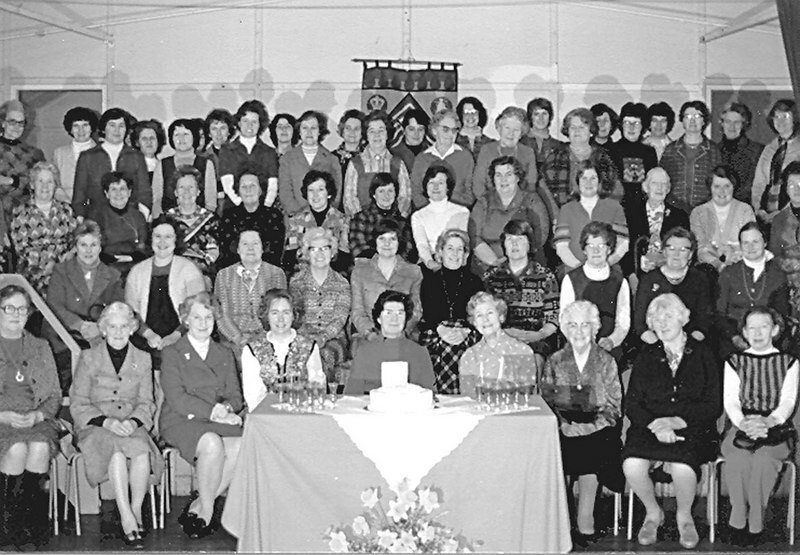 - WI Tea Party, Date unknown c. 1991 - (BS0560) left to right Doris Bright, Joan Saunderson, Lois Hickman, [unknown], Perdita Marston, Molly Saunderson, [head just visible] Doris Chamberlain, Freda Robinson. 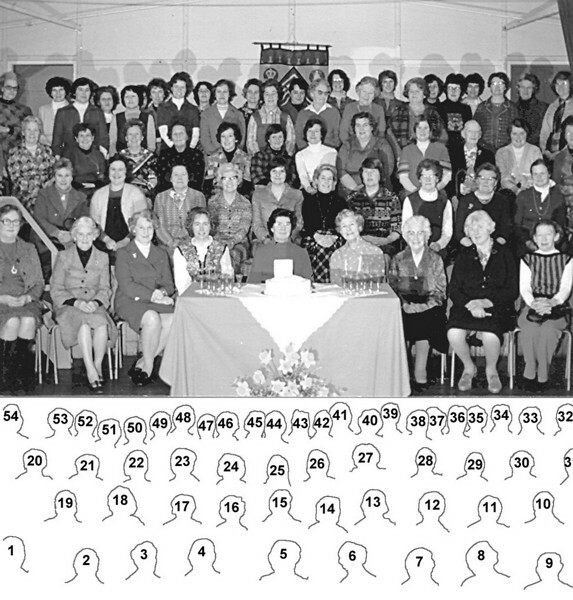 - Benson WI Golden Jubilee collage - (BS0554) See also, “Benson – A Century of Change” page 227. 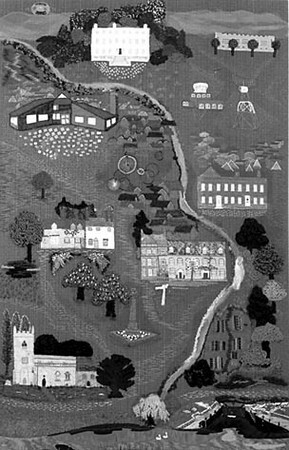 Original drawings by Mollie Saunderson.